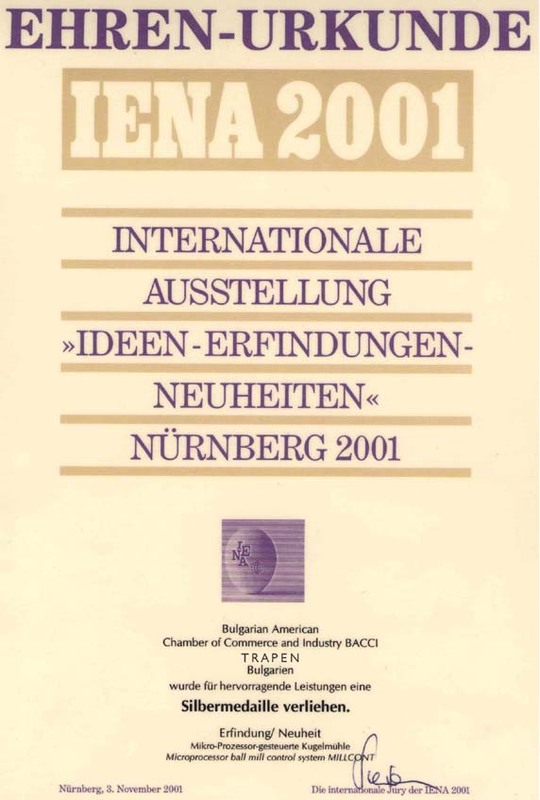 In 2001 the system "MILLCONT" of TRAPEN Company was awarded with silver medal and certificate at the International Exhibition "IENA 2001" in Neurenberg and with bronze medal and certificate at the 50th International Fair "EUREKA 2001" in Brussels. 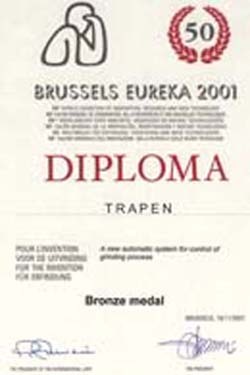 TRAPEN is awarded with honorary diploma for INOVATIVE FIRM OF THE YEAR'2005 . 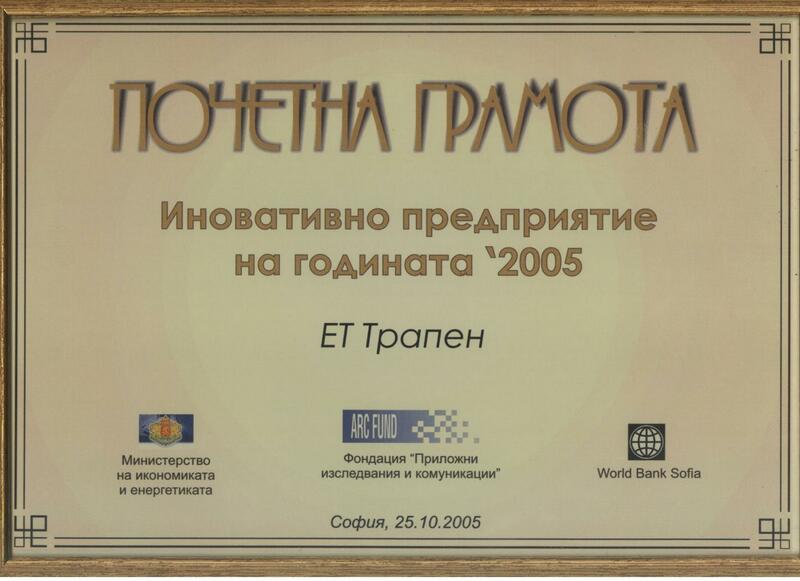 TRAPEN works in association with some technical universities as well as with engineering firms at reconstruction and modernization of cement plants.